Guarding the mouth of the Göta River, the island fortress of Nya Älvsborg was built in the 17th century to protect the city against Danish invaders and boasts a long history of warfare, coming under siege several times during the 18th-century Great Nordic War. 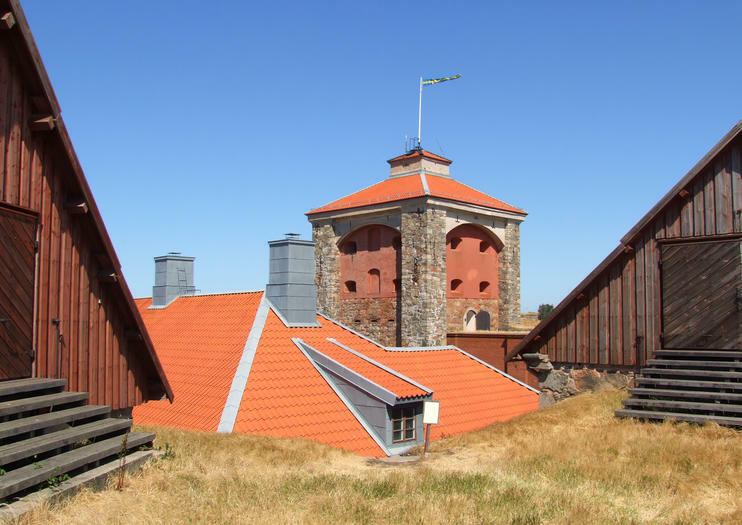 Acclaimed as one of Sweden’s best-preserved castles, the sizable sea fortress has served a number of roles throughout the years, used as a prison in the 19th century and later as a storage facility during the First World War. Since 1971, the castle has been maintained as a tourist attraction and boat cruises to the island are a popular choice for visitors to Gothenburg. Visits to Nya Älvsborg typically take the form of a dramatized guided tour, narrated by historic figures like King Christian IV of Denmark and Admiral Peder Tordenskiöld, while the castle’s prison cells, square tower and chapel provide an atmospheric backdrop. Bekijk de hoogtepunten van Göteborg vanaf het water tijdens deze hop-on, hop-off boottocht. Ga aan wal op een van de haltes, die samenvallen met de populaire bezienswaardigheden van de stad. Met een 24-uurs ticket, dicteer je je eigen schema en verken je Göteborg op je gemak. Besteed tijd aan Lilla Brommen's, Kungsportsplatsen en de iconische Feskekôrka. Korting op toegang tot verschillende stadsattracties is beschikbaar met uw hop-on, hop-off ticket en de volledige loop duurt 50 minuten.